While Korean food meets a deep satisfying need for many expats who find themselves in South Korea, there is a dependence on meats and fish sauces and broths in Korean cooking that can create a challenging situation for expats who would like to experience Korea and their lives in general, with the absence of meat. 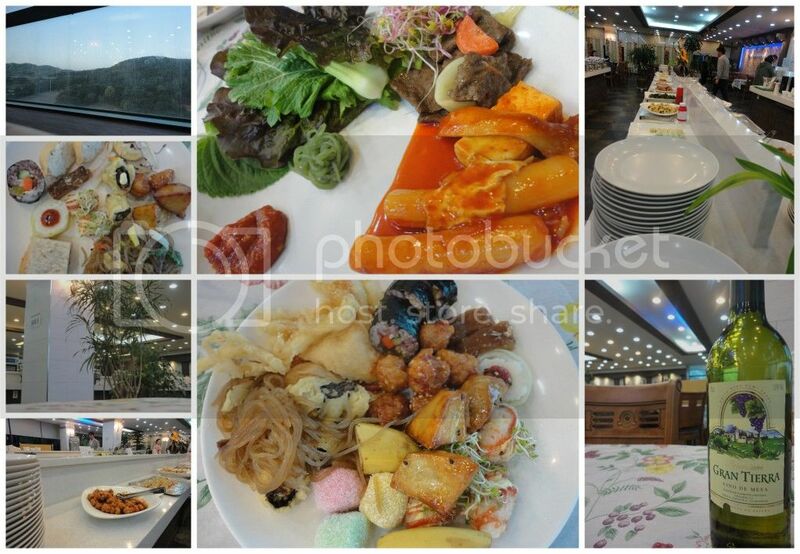 Earlier this year, the Harrington's informed their reader's about one popular Daejeon Alternative, Machera Well-Being Vegetarian Buffet at the end of the subway line at Banseok. However, it's quite possible local or visiting vegetarians are a bit tired of the selection and location of this option and are yearning for a bit more variety. Fortunately, the Harrington's are decently connected and have had the pleasure of meeting a long-time vegan in Daejeon who graciously shared his knowledge and experience of eating out in Daejeon. The following are locations and dishes and tips from this friend regarding meatless eating in Daejeon. Details are given to the extent THT can provide. THT hasn't sat down at all of these eateries and cannot attest to location or deliciousness. However, readers who are meatless and adventurous should enjoy the challenge of hunting down these alternatives to home-cooking and Machera Buffet. "You can barely see it, but it is between the Africa Veterinary place (big blue sign) and Pro Studio Place (orange sign). You have to walk in and go downstairs, but the food there is good too, and all vegetarian, mostly vegan, there might be one or two things with egg. There is plenty to choose from without being unsure though and if you can speak Korean, you can ask specifics." "Will make jjampong and jajaingmyeon vegan, but you have to specify vegan as the restaurant also serves non-vegetarian versions of both of these dishes"
"They will make the garden special without cheese if requested"
Kong-guk-su is a cold noodle soup with soy milk. Acquired taste. If you're more inclined toward enjoying the local cuisine and happen to be relatively functional in Korean, check out this document with numerous phrases and words to assist in eating meat free. Or, get acquainted with the following phrases and words (using google translate or other service if needed) in order to enjoy popular dishes such as Bibimbap, Ddokboki or Kimbap with your friends at any regular ole Korean joint. 저는 오직 채소, 과일, 밥, 콩, 두부 종류만 먹습니다. know if you dont eat that. Wow. The cuisine looks superb however they look too much spicy for me. Such a pity I can't stomach spicy food.